From the legend Bill Scherer comes the original Pike and Musky streamer....the Figure 8. Probably the best selling fly in it's category. From the legend Bill Scherer comes the original Pike and Musky streamer....the Figure 8. This fly has probably accounted for more musky than any other. At 7"-8" it is easy to cast and fish but has enough mass to interest the big guys. 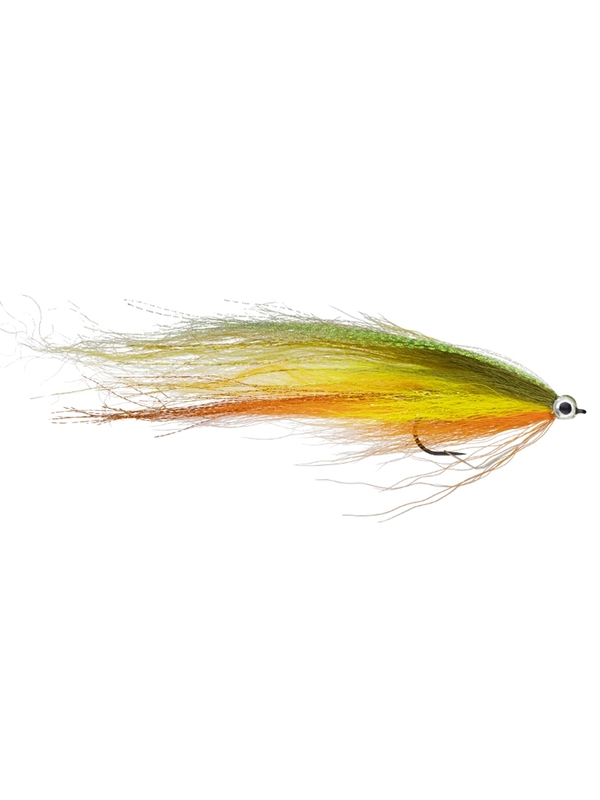 This fly produces all season long in all types of musky water and is where your musky box should start! The perch color is especially killer up north and on Lake St. Clair. Here locally the Pink and the Black/Purple are very good, Chart/white is a staple everywhere and red/black is good in tannin stained water. The Figure 8 has also done VERY well for us on Peacock Bass in the Amazon. 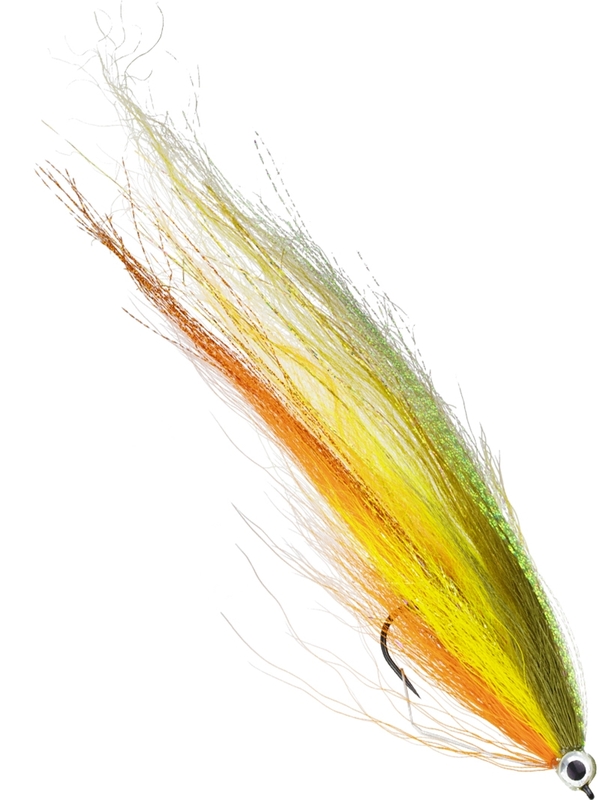 Bill Scherer's Figure 8 Fly- 5/0 hook size- Perch...or "Firetiger" is the color here. This fly measures approximately 7" in length.